Free activities in Tauranga and Mt Maunganui. The Bay of Plenty hub is bustling with things to do, what’s more, there are heaps of free things to do in Tauranga and Mt Maunganui! (As well as cheap things to do too). Whether you’re looking for hikes, art galleries, food to try, and social events to attend, it’s all happening here in Tauranga. Whether you are in the city to find work or and just passing through, there are a number of free things to do in Tauranga and Mt Maunganui so that you don’t break the backpacker budget. 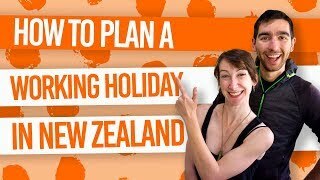 Stay in one of the 7 Best Backpacker Hostels in Tauranga and Mt Maunganui to keep accommodation costs low and fill up your time with some of these free and cheap activities in Tauranga. Don’t waste any time to soak in those views from the summit of Mt Maunganui, aka, Mauao or “The Mount”. There are a number of walking tracks up and around The Mount, but the 30-minute climb to the summit rewards you with panoramic views of beaches, Tauranga city and the Pacific Ocean. Just a 20-minute drive out of Tauranga is McLaren Falls Park. You can fill up a whole day here walking through the different sections of native and exotic trees, around the super reflective Lake McLaren, and marvel at the McLaren Falls at the entrance of the park. We recommend taking the 10-minute waterfall track to the unnamed waterfall pictured below! For more epic waterfalls, see 12 Most Wonderful Waterfalls in New Zealand. Islands don’t come more accessible than Leisure Island (Moturiki). Simply walk across a footbridge connecting the island to Mt Maunganui’s main beach and take a 10-minute stroll on a track leading to a blowhole. The free-entry Tauranga Art Gallery is every-changing with exhibitions and artwork to inspire! Go in and check out what displays they have on offer this month! For those chilly days, relax at the Mount Hot Pools at the base of Mt Maunganui. Prices are very reasonable at NZ$14 for general admission. Alternatively, many accommodation providers in town can offer deals on the hot pools if you want to save a few more dollars. There’s always something going on in Tauranga and Mt Maunganui and markets are usually involved. Check out the Little Big Markets in Coronation Park, Mt Maunganui, Saturdays 9am-2pm, for food, crafts, design and art. Then get up again on Sunday Morning for the Farmers Market in the Phoenix Car Park, Mt Maunganui, 9am-1pm. The Tauranga Farmers Market takes place on 5th Avenue, 8am-12pm. There are some pretty impressive murals spray-painted onto the walls of Tauranga. Finding them is not only a great way to explore the city centre, but it provides you with some pretty neat photo-ops! Check out the car parks and parking buildings around Spring Street, the huge construction worker mural down the Grey Street service lane, and a few more artwork on 53 The Strand, 176 Cameron Road and 24 Drive Crescent. Test your climbing skills at Rocktopia! The indoor climbing venue is not only an affordable activity, but it’s a great thing to do on a rainy day. With an array of easy clip n’ climb walls to the challenging “rock on” walls, all abilities can kill some time here! 9. Go surfing at Mt Maunganui! When the swell is up, hit Mt Maunganui Beach for some wave-riding fun. There are heaps of surf shops around Mt Maunganui that often have deals of surf hire. (Obviously, the less time you hire a board for, the cheaper it is). Alternatively, some hostels in town offer free board hire for their guests, such as Pacific Coast Lodge so take advantage! Ice creams, coffee, fish and chips… The seaside city has many specialities that you have to try while mooching around. Mt Maunganui locals would boast that Copenhagen Cone, Adams Avenue, Mt Maunganui does the best ice cream in the bay, while others would say you can’t go wrong with a Kiwi classic fish and chips from Bobbys Fresh Fish Market on Drive Crescent, Tauranga. See Cheap Eats in Tauranga and Mt Maunganui for inspiration. Location: All over Tauranga and Mt Maunganui! Enjoy 16km of golden-sand beach in the largest suburb of Tauranga, Papamoa. It’s a popular holiday destination for Kiwis and for good reason. Either head to the beach or enjoy hikes and mountain bike trails in the Papamoa Hills – great things to do while keeping the costs down. Find out more things to do there in our 7 Awesome Things to Do in Papamoa. Location: 20 minutes drive east of Tauranga city centre down State Highway 2. This disused quarry turned spectacular garden is a must-see in Tauranga! Maintained by passionate volunteers, Te Puna Quarry Parks is packed with sculptures and a mix of native and exotic plants. There are plenty of photo opportunities along the networks of easy-going walkways, including magnificent views over the Bay of Plenty. Location: End of Quarry Road, Te Puna. Just across the water from The Mount/Mauao is Matakana Island with its 20km-long beach. Catch a ferry from Omokoroa, Sulphur Point or from the wharf at Pilot Bay and enjoy the beach for its powerful surf, birdwatching and a more secluded beach experience. The beach is backed by lush pine forest but shouldn’t be entered as it is a working logging forest. Location: Catch a ferry from Omokoroa, Sulphur Point or from the wharf at Pilot Bay. See one of New Zealand’s oldest buildings at the Elms Mission House & Gardens. Access to the grounds is free and visitors will be able to check out a kauri building built in 1847. There are also guided tours of the house to get an insight into how the early settlers of the area lived and learn about early European and Maori relationships. There is a small admission fee for the tour. Relax in 100% mineral pools for around NZ$13 per person or book yourself a private pool for NZ$14 per 30 minutes. The main pool surrounded by trees is a great place to relax and chat with friends. Fernland Spa also has camping accommodation. Location: 250 Cambridge Road, Bethlehem. Memorial Park is Tauranga’s premier park with plenty of space to relax, kick a football around or let the kids loose in the playgrounds. There’s a picturesque water feature backed with views of the harbour, making for a damn good place to hang out with friends. If that wasn’t enough, there are free barbecues and mini golf! Location: Memorial Park between 11th and 7th Avenues. Kaiate Falls, otherwise known as Te Rerekawau Falls, is just a 30-minute drive from Tauranga. Take a 1-hour loop walk to the upper part of this multi-step waterfall before making its way down to the base of the falls. Check out these 12 Most Wonderful Waterfalls in New Zealand for more unmissable waterfalls. Location: Take State Highway 2 to Kairua then turn onto Welcome Bay Road. Travel 5km then turn on Waitao Road then onto Kaiate Falls Road. Part of the journey is on a gravel road. See live bee displays and try real manuka honey at the Mossop’s Honey store near Greerton. 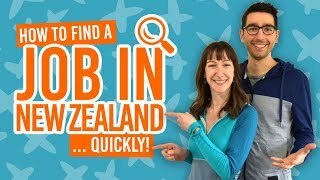 It’s a great place to pick up some New Zealand honey souvenirs and learn a little bit more about the fascinating honey-making process. Location: 761 State Highway 29, Tauriko. Step back in time on this street in Tauranga grand historic buildings and cobbled streets. And yes, the shops are still trading, selling art and gifts. It’s a must-see in Tauranga! If you’re in Tauranga, don’t miss a visit to the Kiwifruit Capital of New Zealand! Not only can you jump on a kiwifruit farm tour to learn more about New Zealand’s kiwifruit industry, but there’s a lot more to unpack in this little town. Nearby are four stunning beaches, bush walks and waterfalls in the nearby hills, and a beekeeper park. Find out more in our 7 Top Things to Do in Te Puke. Location: Te Puke is a 25-minute drive from Tauranga. 21. Grab a cheap activity deal on our deals page! That’s right, we often have some amazing deals on activities in Tauranga for under NZ$20! Take a look at our exclusive Tauranga deals over on the BackpackerGuide.NZ DEALS tab.